Hi, welcome to Little Red Window! 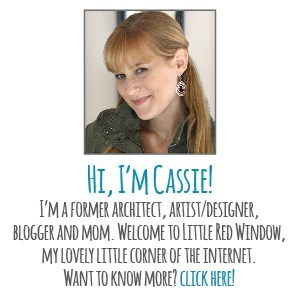 I’m Cassie, mom to one extremely cute and very busy toddler, DIY addict, artist, and former architectural illustrator. Anyway, thanks for visiting, hope to see you again soon!